I finally found the time to prepare some eggplant rolls with stracchino!! It’s summer, it’s eggplant season and I found a very good stracchino cheese, at last! I love eggplants for their taste and because they are so versatile vegetables. You can prepare a lot of recipes with it: parmigiana, pasta alla norma, meatballs, stuffed eggplants… just to mention a few. 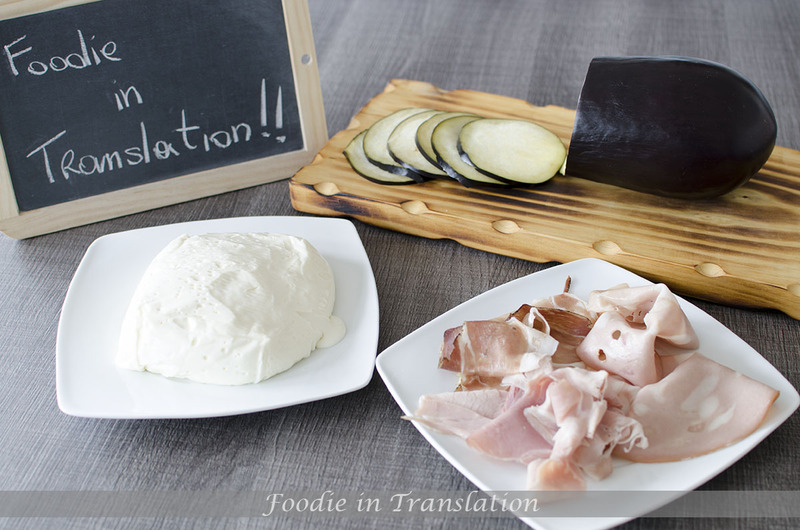 Today, I will prepare this simple recipe using a very peculiar Italian cheese: the stracchino cheese. Normally any Italian grocery should have it, so you can buy it there. Which kind of cheese is stracchino? It is a typical north Italian product made with cow’s milk. Stracchino has a very soft, creamy texture and a mild flavour, with a very slight and delicious sour note. It is perfect with pizza, focaccia, piadina or for stuffing recipes like this one. These rolls can make a great starter, as well as a simple and delicious main dish. 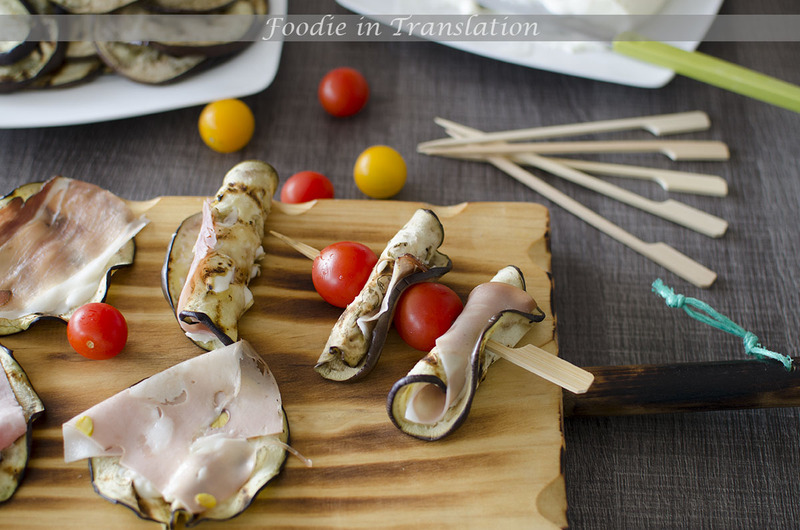 Cut the eggplant into thin rounds. Cut in a half or in 4 pieces the mortadella, the speck and the ham, depending on the slice size. Preheat a grill pan and, once hot, grill the eggplants rounds for a couple of minutes each side. 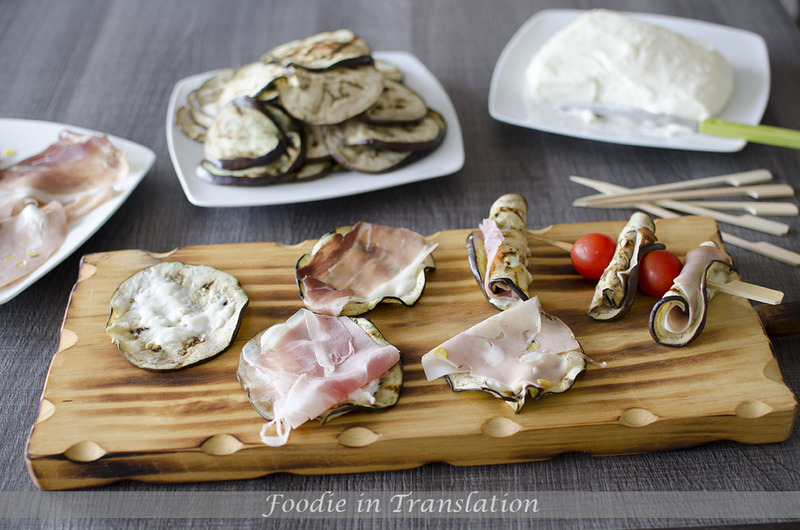 Lay an eggplant slice on a cutting board, spread some stracchino on top, add a piece of mortadella or speck or ham and roll it. Thread each roll with a skewer and alternate two eggplant rolls with two cherry tomatoes. The eggplant rolls with stracchino cheese is ready to be served!